Victory and Associates was an American rock band from SF/Oakland that made records and toured, they were very loud and at least half as clever as they thought they were. We were a band that made music, you can hear it all in the usual places. http://victoryandassociates.bandcamp.com is our preference. Nov 21st, Portland, OR – The Know w/Beach Party, The Cut 45 Nov 22nd, Seattle, WA – Chop Suey w/Helms Alee, Qui, TACOS! Nov 23rd, Bellingham, WA – The Shakedown w/SEMINARS, Rookery Nov 24th, Eugene, OR (tent) – W/ Fight Stories Cool. 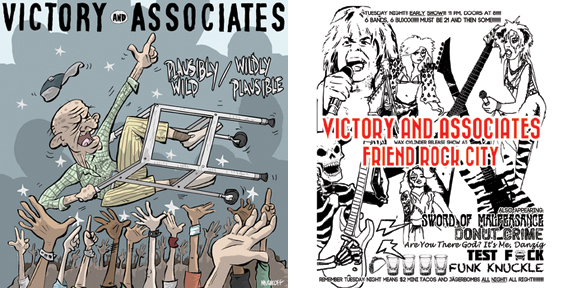 Victory and Associates wrote rock anthems that you didn’t know you needed. 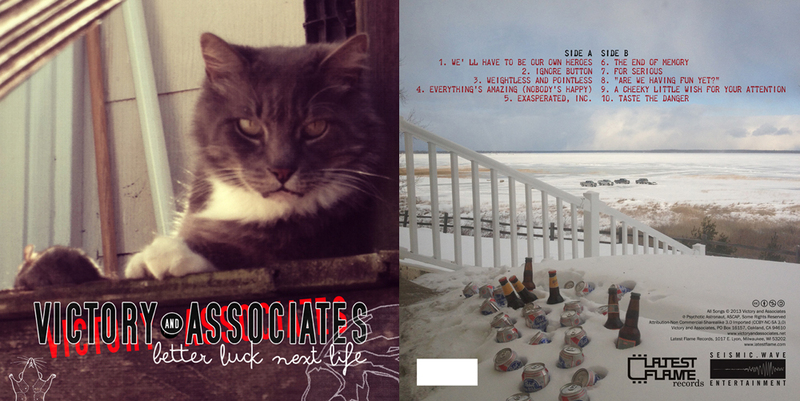 punk rock passion, post punk sass, big riffs, etc. Take the parts of huge classic rock you may actually WANT to turn up, mix it with the parts of indie rock that ROCK, get it moving with driving, energetic force and you are on the trail to victory… and associates. This is for real, this is for serious. Victory and Associates have been around the block, know their way around a good song and endeavor to deliver something exciting to both musician and non-musician alike. These things are FACTS. Youcan’tstopthesignal, youcan’tstopthenoise.